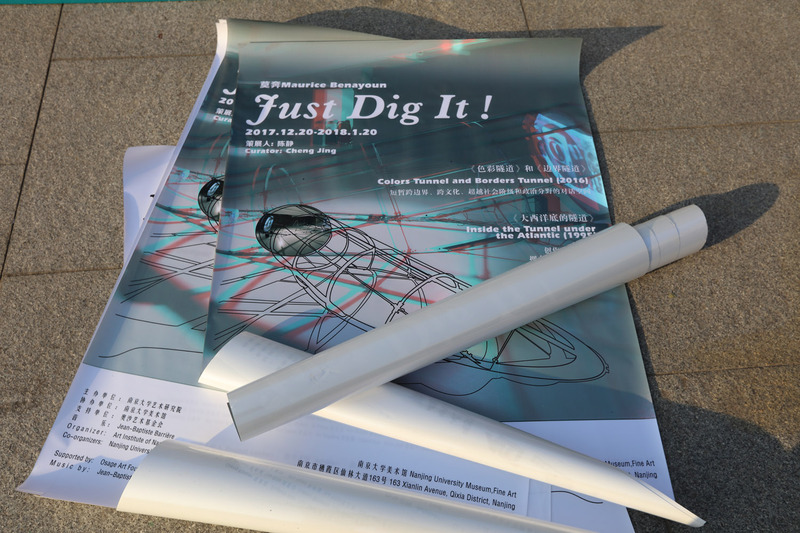 The Art Institute of Nanjing University and Nanjing U Museum of Art exhibit for the first time in China “Just Dig It!” by Maurice Benayoun. 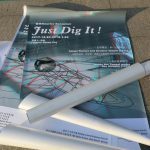 Produced and presented by Osage Gallery in 2016, “Just Dig It!” presents VR artworks created from 1995 to 2016. 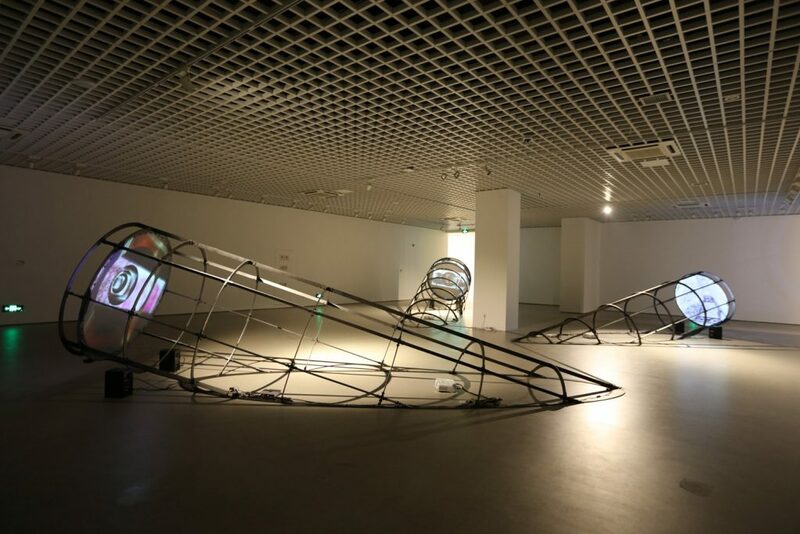 This exhibition is a parallel show of the “Border Diggers” exhibition presenting works by young artists from Nanjing University Art Institute and from the School of Creative Media, City University of Hong Kong, around a common topic: “Communication obstacles”. Software: Daniel Miller and Wang Xiao. When communications create and utilize a woven web of connections and when people feel they belong to something bigger than the global village, closer to what could be a global body, we discover the real obstacles and barriers that keep humankind apart. In 1995, twenty years ago, when nobody was sure the web would become a substantial part of daily life, the Tunnel under the Atlantic connected the Pompidou Center in Paris and the Museum of Contemporary Art in Montreal. This inter-continental virtual reality installation proposed by Maurice Benayoun AKA MoBen (莫奔) was more than a mere video conferencing experience. The materials that visitors had to dig through from either end were cultural materials, made of images, paintings, sounds, maps. Beyond the physical distance, a cultural distance had to be dug. It took more than 5 days of digging before the first meeting between those in Paris and Montreal. The gesture of digging suggests not to forget about history but to know it better, and to be able to build on new common grounds. Beside the living memory of the 1995 and 1997 tunnels, Colors/Border Tunnels (2016) introduce the visitor to the process of connecting through data via the Web, and poses the questions of how the image of borders is conveyed by the Net, how colors, symbolic of race, religious, aesthetic representations, so often related to a superficial vision of the world, reflect real tensions, social and political issues, and what the different factors are which “color” the information that we see, and filters that which is accessible and prominent in our cycles of attention – ultimately, how we view and connect with one another. In 2016, when the web is the most established means of exchanging information, and what appears as easier, facilitated communication and connection, have our cross-cultural/political understandings improved? Is there such thing as a “common”, universal body of data? Colors Tunnel and Borders Tunnel reminds us of what “distance” means between people when it is more than a geographic challenge. Colors Tunnel and Borders Tunnel can be a transient method for the creation of a cross-boundary, cross-cultural, cross-social and cross-political space for dialogue. Yet, tunnels are no shortcuts. The process of carving, and digging through complex and abundant information and the effort that it takes is key. Digging through images to cross borders, all over the globe, exploring a rainbow of colourful pictures is a way to go beyond appearance, where the symbolic and physical frontiers need a deeper investigation to rediscover the true meaning of distance and the real potential of dialogue. All interactive sound compositions are created by Jean-Barrière, a major composer, and long run collaborator of Maurice Benayoun. Continuously evolving according to the action and the displayed content, they give depth and strength to the interaction.